Offer valid only on a set of 4 select Mazda Approved Tires. Offer applicable to all Mazda vehicles. Some restrictions may apply. See dealer for details. Offer expires June 30, 2019. PLUS, you could save even more when you combine it with manufacturer's' coupons and rebates. Some restrictions may apply. Contact us for details. Ask your PACIFIC MAZDA PARTS & SERVICE TEAM about competitive pricing on Michelin, Toyo, Yokohama and more. Performance starts from the ground up. Come in and take advantage of our selection of top brands that offer optimal performance, fuel economy and safety. Our tire experts make it easy to pick the right tires at competitive prices. 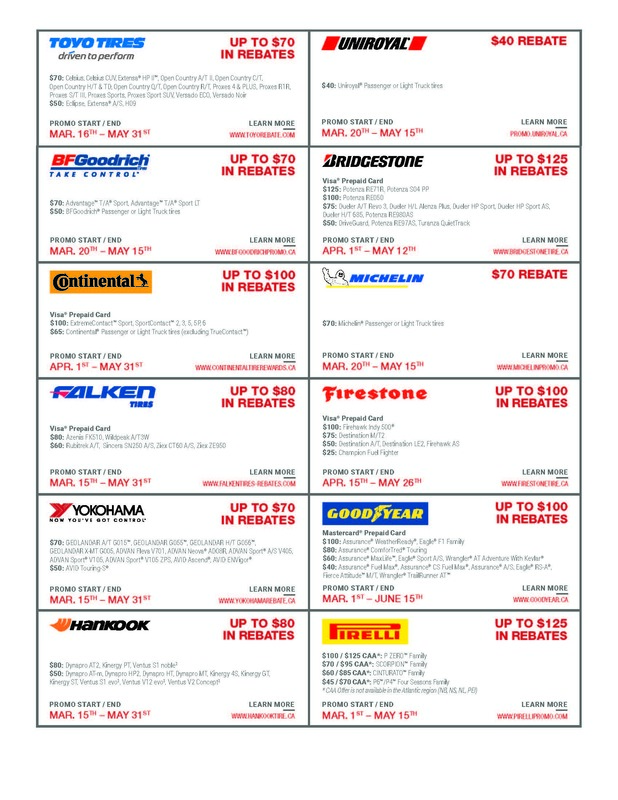 Where should you go when shopping for tires? Look no further than your Mazda dealership. The Mazda Tire Centre is your “One-Stop Source for Tires” with top named brands like Goodyear, Dunlop, Pirelli, Michelin, BFGoodrich, Uniroyal, Bridgestone, Firestone, Yokohama and Toyo. We believe that choosing the right tires for your Mazda vehicle is as easy as talking to a Mazda trained professional. We also believe that having some background information about tires and how they perform under different driving conditions will help you make your tire purchase decision easier. We want to help you get the maximum performance from your purchase by showing you some simple maintenance that will help prevent premature wear or failure of your tires, will ensure optimum fuel economy and benefit the environment through reduced emissions. Thank you for taking the time to visit our site and please return often to check for new product information, promotions and tire care tips.